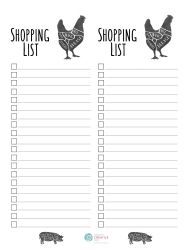 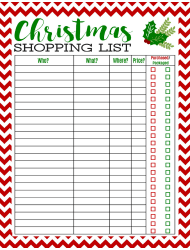 Preparing for Christmas can be overwhelming: this shopping list is ideal for listing all of the season's essentials. 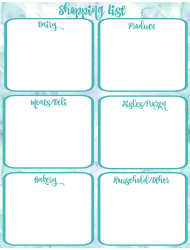 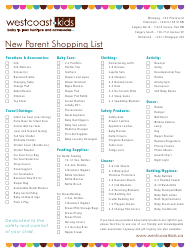 This template lists all of the new parent essentials you could ever think of: from furniture and safety products to feeding supplies and clothing items. 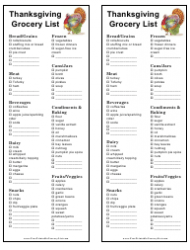 Group produce by category and fill this blank grocery list with the healthiest foods from each aisle on your next trip to the grocery store. 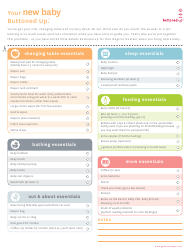 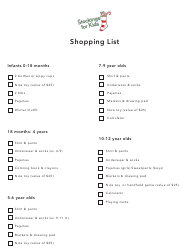 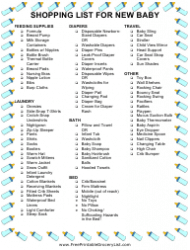 This printable checklist will guide you through the process of shopping for baby essentials required in any nursery. 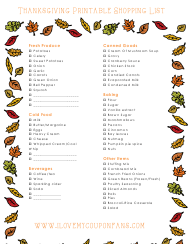 Check off the things you'll need to pick up at the grocery store for a successful Thanksgiving dinner with this holiday-themed grocery list. 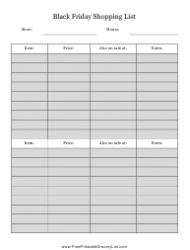 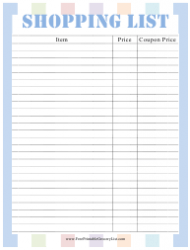 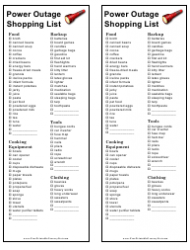 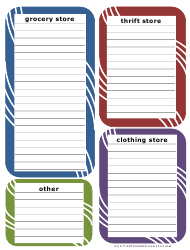 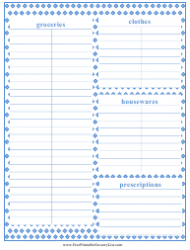 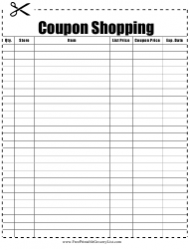 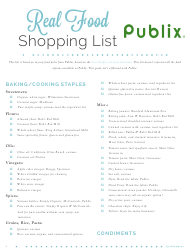 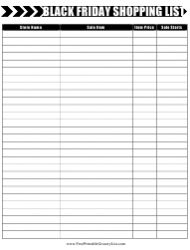 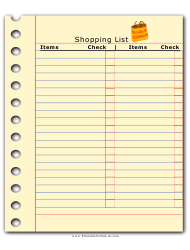 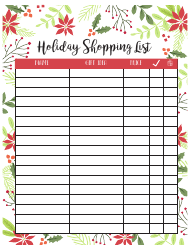 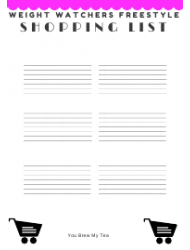 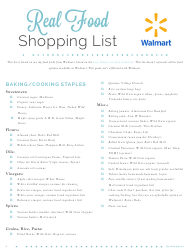 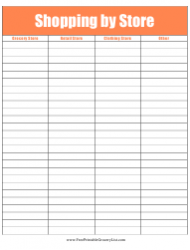 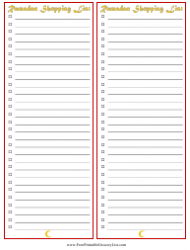 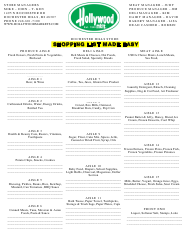 This bright blue shopping spreadsheet provides plenty of space for listing groceries, clothing items, houseware, and prescriptions. 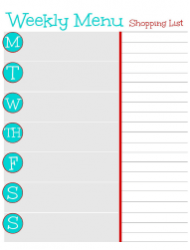 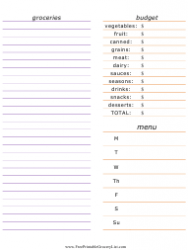 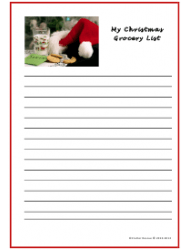 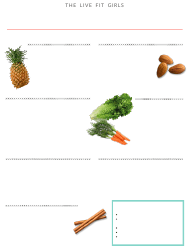 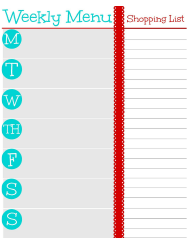 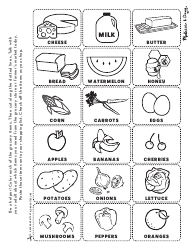 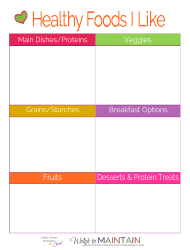 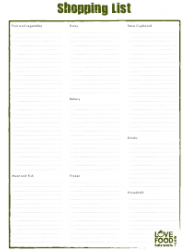 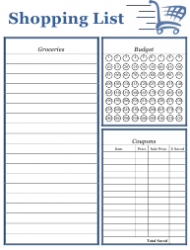 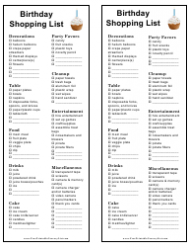 This templates features categories for fruit, vegetables, dairy, meats, and drinks and includes a simple menu planner for the seven days of the week. 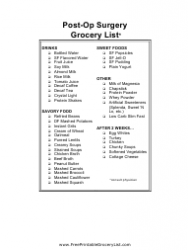 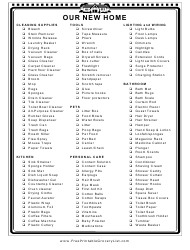 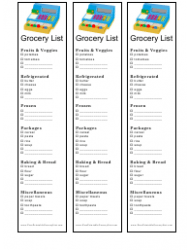 This single-page grocery list for multiple stores makes it easy to keep track of your shopping as you walk through the isles. 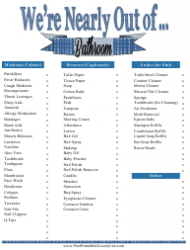 This bathroom shopping list comes with a pre-printed list of common bathroom essentials and provides extra space for listing additional items. 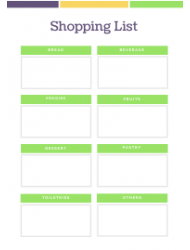 This shopping list pad has a blank chart for listing groceries and supplies organized by the different sections of the supermarket.